What you may not know is that the same design decisions that make DirectX 12 so performant also make it incredibly power efficient. This allows you to play all of your favorite games on portable devices without having an uncomfortably hot device on your lap or as much of a need to carry around a cumbersome power adapter. Keep reading as Intel shows exactly how significant these benefits are! Our friends at Intel created a SIGGRAPH 2014 demo to demonstrate the performance and power benefits of DirectX 12 on the Surface Pro 3 with Intel HD4400 graphics. Intel’s SIGGRAPH 2014 booth where their DirectX 12 demo is being shown. The demo renders an asteroid field with 50,000 unique asteroids in it which equates to 50,000 draws per frame. Each asteroid has a unique combination of vertices, textures, and constants. The demo can switch between DirectX 11 and DirectX 12 at the press of a button. It can also lock the frame rate to keep the GPU workload constant. Overlaid on top of the full-screen demo is a real-time graph of the CPU and GPU power being consumed. Over 50% CPU Power Usage Reduction on Surface Pro 3! To demonstrate the power gains of DirectX 12, Intel locked the framerate of the demo, rendered with DirectX 11 for a period of time and then toggled to DirectX 12 rendering the exact same content for an equal period of time. The graph below clearly indicates that DirectX 12 CPU power consumption was reduced more than 50% when compared to DirectX 11 rendering the exact same content at the same framerate. These power savings mean that your device can run longer and cooler! Can reduced CPU power consumption lead to increased performance? With certain applications, reduced power consumption means the device generates less heat and can run even faster! DirectX 12 can allow the CPU to consume less energy and run cooler allowing the GPU to run hotter and faster. In some cases, DirectX 12 can take a game that’s otherwise unplayable on DirectX 11 without even increasing the power your device consumes! Intel was able to demonstrate this by unlocking the framerate cap on their Asteroids demo showing more than a 50% increase in FPS using DirectX 12 without drawing any extra power. Close up of another CPU/GPU power graph taken during an Intel Asteroids demo without framerate lock. Notice the increased GPU utilization after switching to DirectX 12; this directly translates to an FPS gain. The power savings are coming directly from the efficiency improvements that inherently come with using the DirectX 12 API. Lower level access to the hardware than ever before allows applications to significantly improve their CPU utilization, enabling them to draw extremely complex scenes at a significantly reduced energy cost. Like the Surface Pro 3, all devices which support DirectX 12 can benefit from DirectX 12 reduced power consumption, either in the form of longer battery life, increased performance, or some combination of the two. Watch Andrew Lauritzen of Intel explain in more detail here: http://waskul.tv/portfolio/steve-waskul-andrew-lauritzen-2014/. Want to see demos (including source code) on your own Intel graphics powered device? 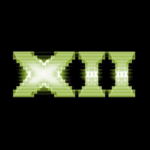 Sign up for the DirectX 12 Early Access Program here and we’ll keep you updated! DirectX 12 can save more than 50% of CPU power compared to DirectX 11. When allowed to use equivalent power to DirectX 11, DirectX 12 can also yield 50% better FPS performance. DirectX 12 can run and show these improvements on a wide variety of devices including Microsoft’s flagship device the Surface Pro 3. There’s more to come; more demos, more power gains, more performance gains; sign up for the DirectX 12 Early Access Program to keep up to date!